Loving myself means making consistent intentional choices every day that place my well-being first. It’s a philosophical practice that manifests in almost every facet of daily life. For me, it’s been evolving as my life and my demands have transitioned from college student to working professional. One of the most important lessons I’ve learned regarding self-love is that I cannot and should not think of acts of self-love as an indulgence, but rather as necessary maintenance. I am at my best when I place my personal care first. This was a surprisingly difficult shift for me to make and maintain. It requires a lot of work, but it’s the best kind of work. I had to expand my definition of personal care to encompass a variety of activities that make me feel my best, and allow me to take time to focus on nurturing my mind, body, and soul. Santana and her dog, Cassie, after a hike. When I’m feeling down about myself, I find a quiet place and repeat (out loud!) the mantra “Although (insert reason I’m upset or anxious), I love and accept myself completely.” It’s a striking physical and emotional experience to say that out loud. I’ve learned to own and accept my reactions and feelings, while reinforcing my self-love. I’ve learned I must take ownership of how I feel about myself. I am the only person who validates me. 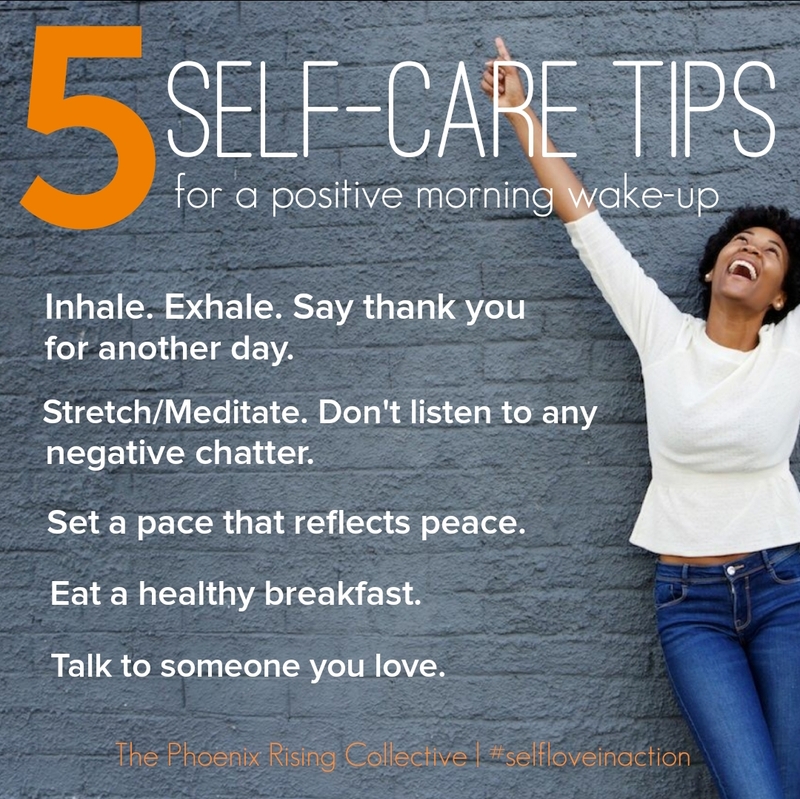 This year, the most important change in my self-care ritual has been taking care of my body. I spend much of my work week sitting at a desk. When I was in college I spent much more time being active and walking and so physical activity was much less of a concern. This year, I noticed that my mood was becoming more variable, and my daily anxiety level was growing, so I decided to start making efforts to temper that. To be my best self I must make an effort to show love to my body by using it and learning about all the wonderful things it can do. Hiking is another way that I can work my body in a non-competitive and fulfilling way. I live in a rural area, and there are plenty of trails that match my comfort and skill level (which is fairly low). I can set my own pace when hiking, which I love. 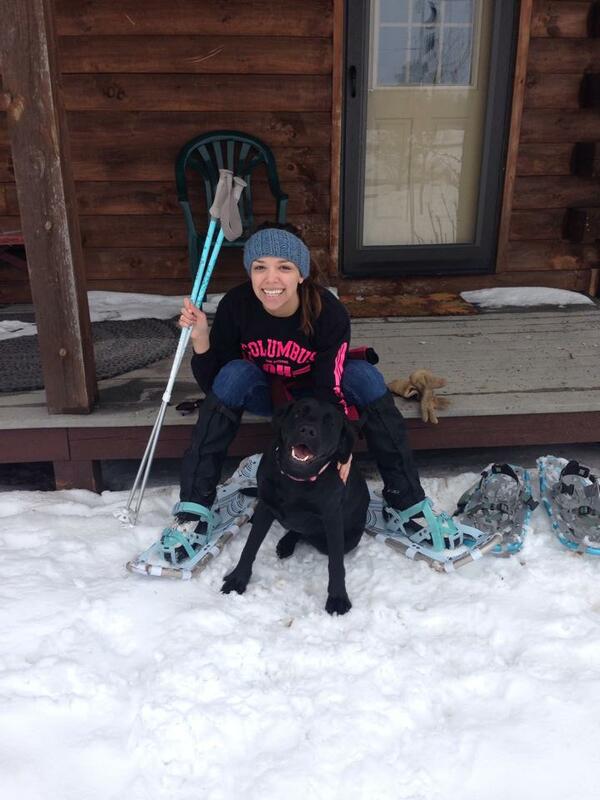 I bring my dog, Cassie, and we can bond through the activity. My favorite part is reaching the top and feeling like I’ve succeeded. Through setting physical goals for myself and then reaching them, I gain confidence and love myself. The act of cooking is another way I nourish myself completely. I live in a different state than my family, so one way I can feel close to them is through cooking recipes that my mother and grandmother have taught me. If I’m feeling homesick, making a favorite meal is a way to temper that. These recipes are a gift that they’ve given me and that I can share with people close to me. I’ve taken more initiative with my diet by adopting recipes that are not only tasty, but healthy too. When I sauté kale, garlic, and beets, I know that I’m providing my body with strength, nutrients, and something yummy, that’s empowering! Eating healthy is doubly exciting when I cook the vegetables I grow in my own garden. How fulfilling to till, plant, cultivate, and harvest your own produce! I maintain my connection to the Earth and nature and I remind myself of the sanctity of food. I feel like a shepherd to my garden and my vegetables. After spending all day inside an office during the work week, I love to kick off my shoes and walk barefoot in the soil while tending to my plants. One of my most important self-care actions I practice is allowing myself to be silly! I embrace having solo dance parties (in the printing room at work, in my car, or the kitchen while cooking dinner). If I catch myself being critical of my reflection in the mirror, I’ll start making silly faces at myself until I laugh. Part of growing up for me has been learning to take care of myself in an internal way and being silly is sometimes the best medicine. For a long time I wrestled with my racial identity. Largely because the way others viewed my racial identity varied so much depending on what part of the country or the world I was in. I’ve always dreaded the “what are you?” question because my answer is so complicated and normally the person asking isn’t looking for an answer that’s been 23 years in the making. Although it is still a work in progress, I’m learning to embrace the fluidity of my identity. Rather than thinking of myself as an outlier or outsider because of my varied experiences, I’ve learned to see it as a tool through which I can more easily connect with a wide range of people. Through changing my perspective, I’ve learned to see my experiences as empowering rather than exclusionary. I’ve learned that I don’t owe an explanation to anyone regarding myself, and the way that I navigate my identity can be personal, unique, and special. Developing and naming my own agency in potentially marginalizing encounters has been a huge step in my own self-care. Self-love spills over into all other aspects of our lives. When you’re at your best, you provide so much more positivity and light. In many ways self-love is the best act of kindness. I’ve learned that if I want to have meaningful and beneficial relationships, self-love needs to be my top priority. I think in many relationships, the idea that “I’ll take care of you and you’ll take care of me” is common and potentially detrimental. That mentality can lead to a lot of pressure, false expectations, and resentment. 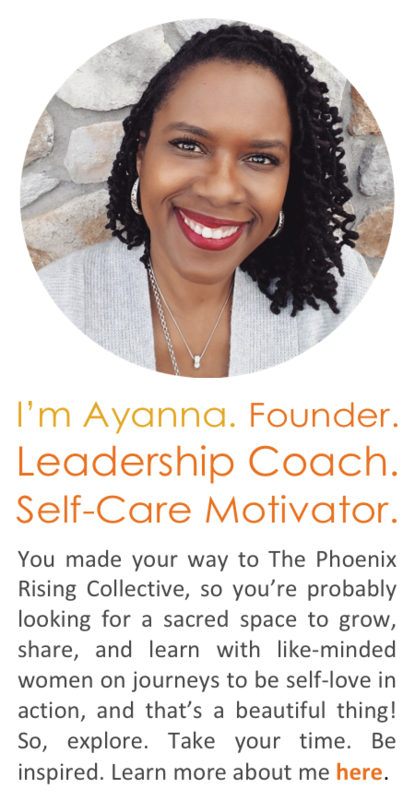 I’ve found that in reality, the better philosophy is “Because I love you, I’ll love, take responsibility for, and care of myself.” Self-love translates into healthier, more supportive partnerships. It’s the foundation to a beautiful life. We asked Santana to also submit photos demonstrating self-love in action or even photos that radiate the feeling of loving who she is. We created a collage (shown above AND below, because they were too inspiring to just choose three or four) of the awesome images she wanted to share. 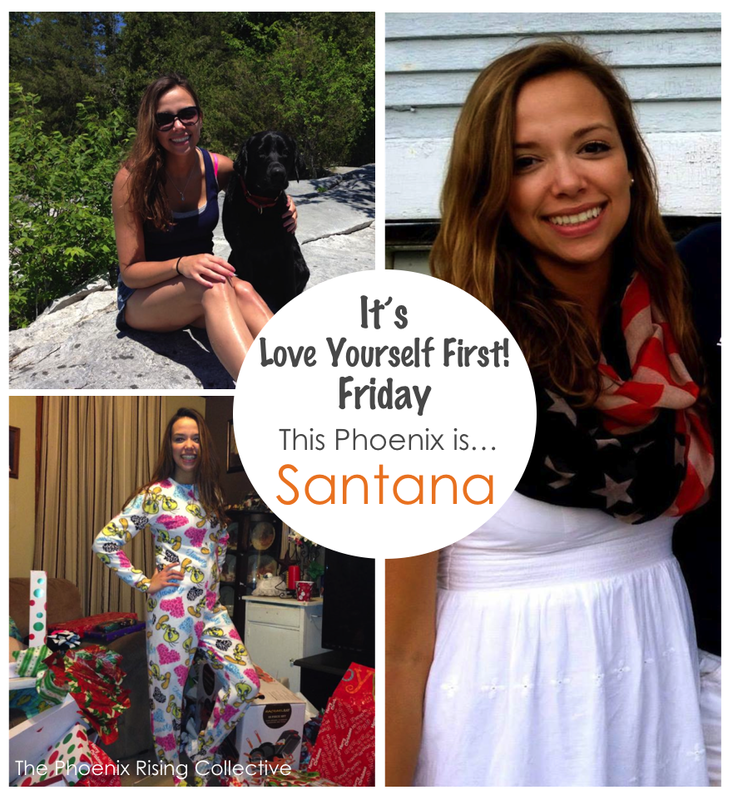 Thank you for sharing your self-love story, Santana. You are definitely a Phoenix rising! Categories: Love Yourself First! 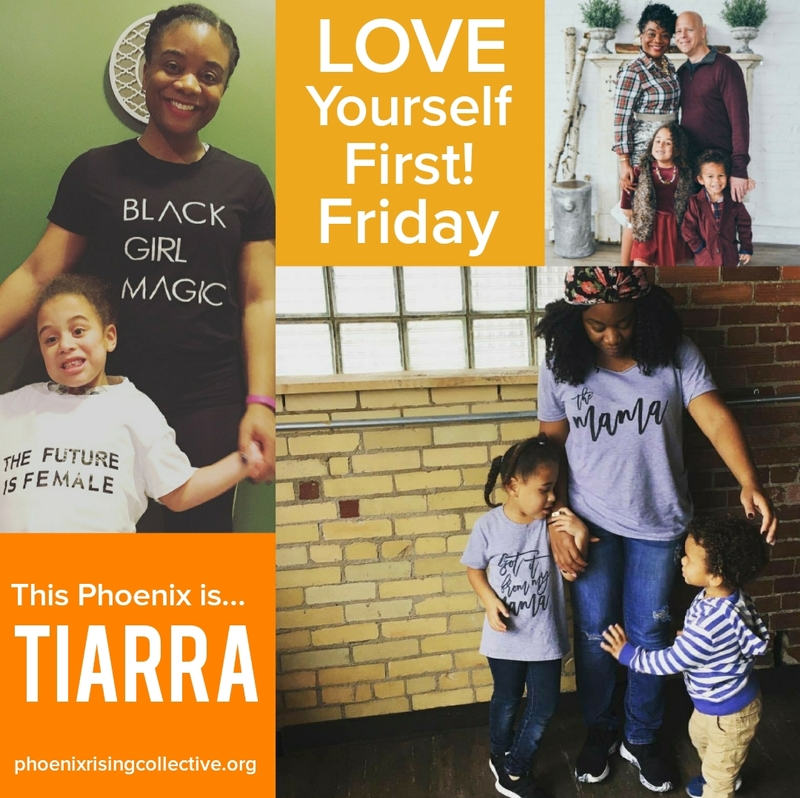 Friday | Tags: Affirmations, empowerment, healthy living, healthy well-being, inspiration, intentional living, Love Yourself First, mindfulness, self-care, self-esteem, self-love, Shed Light Series, the phoenix rising collective, whole living, women and wellness | Permalink.